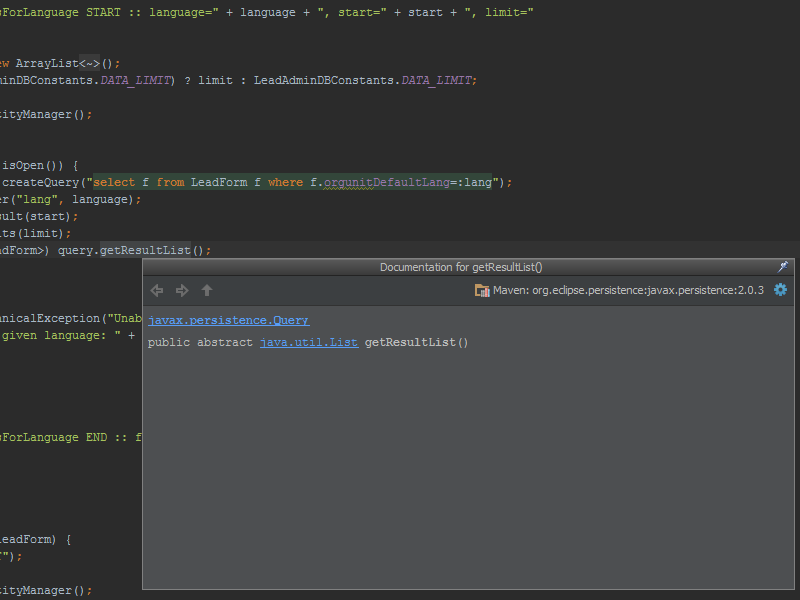 Intellij (12.1.3) doesn’t show java doc (ctrl + q). See attachments. I enabled "download Documentation" automatically. What is missing? What is wrong? 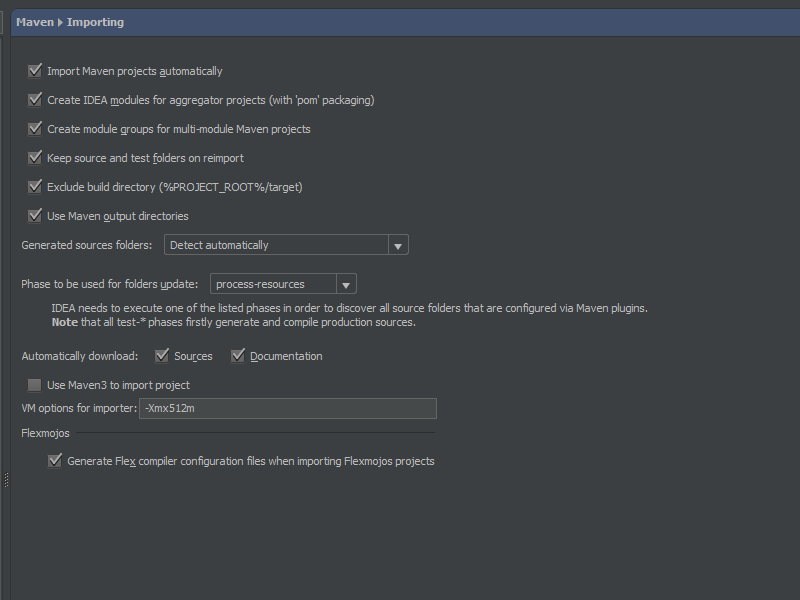 "Download automatically" option works only on importing project, not on calling quick doc. Please, file a feature request. The workaround is to call "Download" action manually (BTW, I see that central repository has no javadoc for 2.0.5, but has sources). First of all i would like to thank you for your quick response! I’m working on a big project. Should I send you all the pom files? That would be hard. And why is this related to maven/poms? I works fine in eclipse. It’s the same e.g. 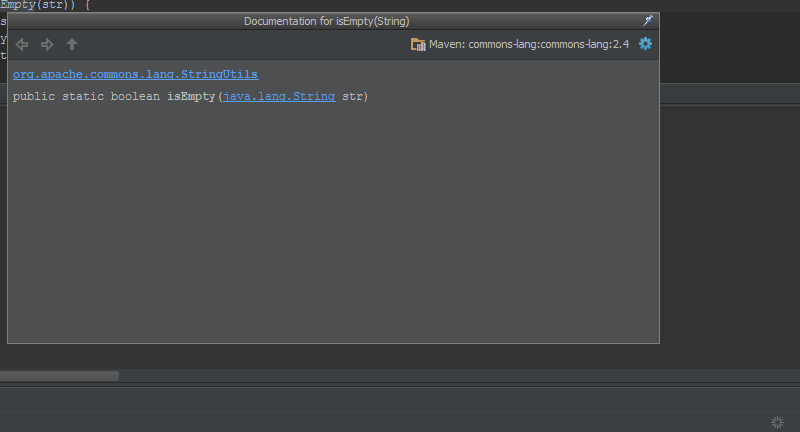 "org.apache.commons.lang.StringUtils.isEmpty()"